Builder confidence is up! New single-family homes and condominiums are finally being built again and what’s better than having everything shiny and new, built with state-of-the art materials, energy efficient systems and appliances, and everything to fit the way you live, work, and play? Given the choice, a lot of home buyers would prefer to purchase a new home than a house that someone else has lived in; especially buyers who don’t have the time, interest, or money for repairing or renovating a house that someone has lived in. Whether you are a first-time buyer, moving-up, down-sizing/right-sizing, or someone who has bought and sold multiple times, if you have not purchased new construction before or you did it along time ago, you may have some misconceptions about buying new construction. 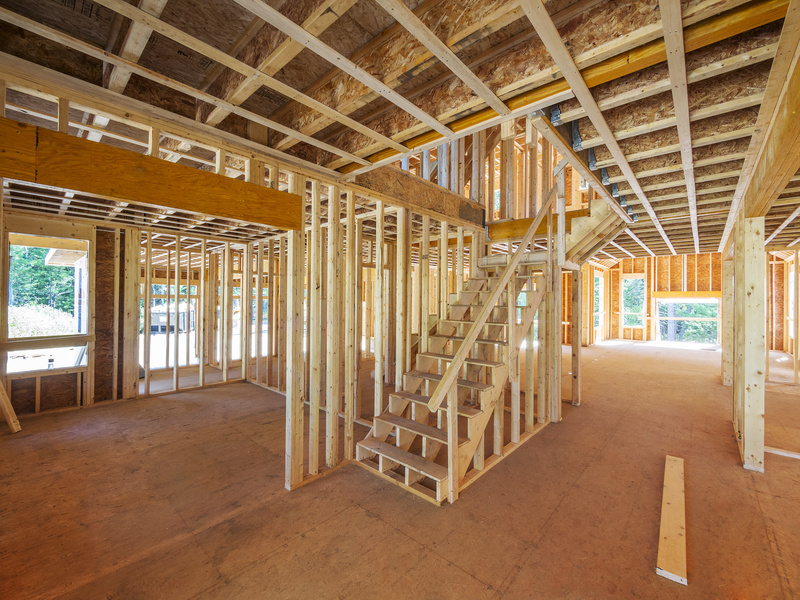 Here are a few common misconceptions about new construction. 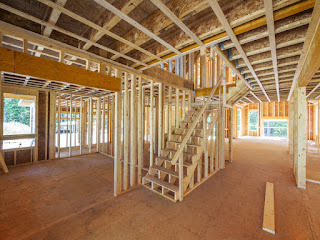 The biggest misconception about new construction is that because it’s new, it will be perfect! New houses are built by people and we all know that people are never perfect. A new house can have defects just like a resale. While home buyers expect and even look for things to be wrong with an older house that has been lived in, they don’t expect any issues in new house. Realistic expectations are important when buying any house so remember, there is no such thing as perfect! One of the most fun things about buying a new home is that you get to pick out flooring, cabinets, counter-tops, appliances, tile, fixtures, etc. and have everything color-coordinated, up-to-date and just the way you want it. With so many choices it’s easy to get carried away with making selections that are so trendy that you may grow tired of them in a short-time. And, it’s also easy to pay for extra for upgrades that you may not need and that really don’t add value. While it’s nice to have everything done at the same time by the builder, sometimes waiting and getting things done later on your own can be a better and more cost effective choice. If you decide to buy upgrades, buy for own enjoyment and don’t expect that you will get your money back when you sell. What you sell for will depend on the market at the time and as soon as you move-in, your new home becomes used! Buy what you like, don’t over-personalize and don’t do anything because you think it will be a money-maker later especially if you are buying in a large development of similar homes. A lot of people have the misconception that they don’t need to do a home inspection when buying new construction because everything is new, under warranty, and you’ll do a final walk-through and prepare a punch-list of items that the builder will fix. Having a home inspection is just as important for a new house as for a resale. Remember, new is not perfect and there may be items that weren’t installed or not connected properly, etc. A walk-through is not the same as a thorough inspection by a professional home inspector. Buying a home is a big investment; don’t be “penny-wise and pound foolish.” Also, make sure you know exactly what items are under warranty and for how long! That builders/developers don’t negotiate is another misconception about buying new construction. This is something that home buyers are led to believe by the on-site salesperson who represents the builder, and while most buyers would never accept that premise if they were buying a resale property, for some reason they believe it about new builds. Builders are like every other seller and whether or not they will negotiate depends on a number of variables – the market, the size of the development, how far along the project is, how qualified you are, which items you want to negotiate about – price, terms, features, etc. Like every other seller, some builders are easier and friendlier and more financially stable than others; some are good business people and know when it pays to be flexible and others just dig in. Another great thing about about buying new construction is that builders make it so easy to buy by building sales models and having an on-site agent/salesperson to help you. The most important misconception that buyers have about new construction is that they cannot have or don't need a buyer agent/broker on their side. While the majority of home-buyers know that it makes sense to have their own buyer agent represent them and they want a professional whose fiduciary responsibility is to work on their behalf to get them the best deal, help them understand their options in the local market, help them do their due diligence, and negotiate on their behalf when they are buying a resale, many still think that when buying a new home it's OK to go directly to the on-site agent/salesperson and do whatever that seller's agent tells them to. Unfortunately, too many buyers don't even think about getting their own representation until they've already been to the site, talked with the on-site seller's rep, given up a lot of personal and financial information, and decided to buy. And by then, it's too late! Yes, you can have your own buyer agent and buying a new house does not take away your right to representation. The majority of new homes are listed on MLS (multiple listing service) just like resale listings, and the listings include an offer of cooperation and compensation to buyer agents. The builder will pay your agent's fee out of the proceeds of the sale, the same as any other seller! BUT, some new construction seller agents will often include a note on the MLS that buyers do not see that stipulates "buyer agent MUST be present at the first showing." There's the catch! They know that buyers drive around and will often stop at a model home "just to look" and the next thing they decide to buy. On-site agents do not want buyers to have a buyer agent on their side; the seller's agent want to control the buying so they can maximize profits for the builder (and themselves!) I have had buyers tell me that they were told that they could not have a buyer agent because they came to the site without their agent. If you already have an agreement with a buyer agent to represent you, make sure you do not go to any new construction sites without your agent. If you are thinking about buying new construction and do not have a buyer agent, get one before you visit any new construction sites and before you talk with anyone on-site. That way when you decide to buy, you will have a agent on your side! By the way, make sure your agent knows the area and has experience as a buyer agent for new construction. About the author: Marilyn Messenger is a licensed broker, Certified Residential Specialist, and Accredited Buyer Representative, associated with Andrew Mitchell and Company in Concord MA. She has been representing new construction home-buyers in Sudbury, Wayland, Maynard, Stow, and the towns west of Boston since 1993. Her clients have purchased new single-family homes, luxury properties and condominiums from both local and national builders. Her experience experience on a local Planning Board, Zoning Board, and board member of an HOA has been especially helpful to her new construction clients. Visit www.marilynmessenger.com for more.